With the presence of Johnson & Johnson’s Human Performance Institute in Lake Nona, the company has been an important part of the community’s commitment to health and wellness innovation for many years. One of the original sponsors of the Lake Nona Impact Forum, Johnson & Johnson serves as the Presenting Sponsor in 2019, demonstrating its dedication to improving health and quality of life through innovation. KPMG LLP is a leader in convergence, helping organizations across the healthcare and life science ecosystem work together in new ways to transform and innovate the business of healthcare. KPMG’s Healthcare and Life Sciences practice, with more than 2,800 partners and professionals supported by a global network in 155 countries, offers a market-leading portfolio of tools and services focused on helping our clients comply with regulatory change; improve outcomes through data analytics; adapt to the consumerism of healthcare; transition to value-based outcomes; and optimize investments in clinical technologies to guide them on the path to convergence. The Edyth Bush Charitable Foundation’s mission to improve the quality of life for the people of Central Florida has been demonstrated in its consistent support of the Lake Nona Impact Forum, including having enough confidence in the mission of the Impact Forum to become its first committed sponsor in 2012. GuideWell Innovation™ creates real-world health solutions for commercialization by the GuideWell companies and its partners with the goal of rapidly accelerating health innovations that help people and communities achieve better health. GuideWell is the parent of company of Florida’s largest health care payer and a group of forward-thinking companies. Developed by Dr. Mehmet Oz and Jeff Arnold, Sharecare is a health and wellness engagement platform empowering people to know their health by creating a comprehensive health profile. Sharecare offers unique health assessments, personalized programs, decision-support tools, advice from experts and more, all in support of Lake Nona Institute’s mission to promote and live more active, inspired and longer lives. 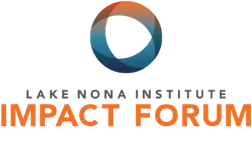 Committed to enhancing the quality of life in communities in which the Tavistock Group conducts business, the Tavistock Foundation is honored to partner with a remarkable range of sponsors in the launch and continuous support of the Lake Nona Impact Forum. Integrated Wellness Partners, a Signet Enterprises Company, offers comprehensive, turnkey development, finance, and health and wellness management solutions to health systems, municipalities, universities and academic medical centers across the country and around the globe. We have proven experience and the resources to help our client partners bring wellness to their communities. Our principals provide highly specialized knowledge and expertise in distinct disciplines including health and wellness operations, real estate development, financial solutions and technology. Founded in 1983, Technogym is a world leading international supplier of technology and design driven products and services in the Wellness and Fitness industry. Technogym provides a complete range of cardio, strength and functional equipment alongside a digital cloud based platform allowing consumers to connect with their personal wellness experience anywhere, both on the equipment and via mobile when outdoors. With over 2,000 employees and 13 branches globally, Technogym is present in over 100 countries. More than 65,000 Wellness centers and 200,000 private homes in the world are equipped with Technogym. Technogym was the official supplier for the last seven editions of the Olympic Games: Sydney 2000, Athens 2004, Turin 2006, Beijing 2008, London 2012 and Rio 2016. Citi Private Bank is one of the world’s leading global private banks, whose teamwork, commitment to service, and ability to see and seize opportunities for clients set it apart. The Private Bank and Citi as a whole are proud to join together with the Lake Nona Institute by sponsoring its Impact Forum promoting progress in the health care arena. Nemours Children’s Hospital in Lake Nona Medical City has welcomed an impressive list of world-class pediatric specialists committed to providing the highest level of clinical care, research and new treatments for childhood illnesses. Built by families, for families, the hospital is part of the Nemours Children’s Health System, one of the nation’s leading pediatric health organizations. UF Health represents the shared vision and commitment to patient care excellence of more than 22,000 employees of the University of Florida and the UF Health Shands health care system. With campuses in Gainesville, Jacksonville, and in Orlando at Lake Nona Medical City, UF Health includes six health colleges, nine research institutes and centers, two teaching hospitals, two specialty hospitals and a host of physician medical practices and outpatient services throughout north central and northeast Florida. The UF Health mission is to promote health through outstanding and high-quality patient care; innovative and rigorous education in the health professions and biomedical sciences; and high-impact research across the spectrum of basic, translational and clinical investigation. Now in its seventh year, the new UCF College of Medicine is one of the first U.S. medical schools in decades to be built from the ground up. The college aspires to be the nation’s premier 21st century medical school. Its program epitomizes innovation, high-tech learning tools and a pioneering spirit to educate young doctors and scientists in a new and better way for the 21st century. Its clinical practice, UCF Health, cares for patients across the community and all physicians are faculty members at the medical school. As a founding member of Medical City, the UCF Health Sciences Campus at Lake Nona includes a 170,000-square-foot medical education facility and 198,000-square-foot Burnett Biomedical Sciences building, where faculty researchers are looking for cures to the diseases that plague humanity – cancer and cardiovascular, infectious and neurodegenerative diseases. The United States Tennis Association (USTA) is the national governing body for the sport of tennis and the recognized leader in promoting and developing the sport’s growth on every level in the United States, from local communities to the crown jewel of the professional game, the US Open. In 2017 the USTA opened the New Home for American Tennis, a state-of-the-art facility at Lake Nona. The 100-plus court tennis center houses the USTA’s Community Tennis and Player Development divisions and will be divided into dedicated areas that will focus on the complete tennis pathway – from recreational players, to collegians, to future professional players, and to professional tour level players. PepsiCo is one of the world’s leading food and beverage companies with a global portfolio of diverse and beloved brands. PepsiCo has been recognized for leadership and performance, diversity and inclusion, environmental stewardship, and supporting the communities where we live and work. At the heart of PepsiCo is Performance with Purpose – our fundamental belief that the success of our company is inextricably linked to the sustainability of the world around. We believe that continuously improving the products we sell, operating responsibly to protect our planet and empowering people around the world is what enables PepsiCo to run a successful global company that creates long-term value for society and our shareholders. With the motto of “Helping others help themselves,” Dr. Phillips Charities aligns itself with the Lake Nona Impact Forum through the development of new ideas and inventive solutions to community problems, most notably through the creation of jobs and opportunities. 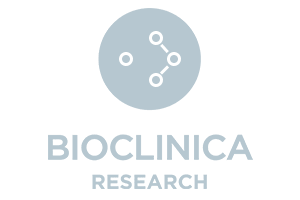 Bioclinica is a global life science provider that utilizes science and technology to bring clarity to clinical trials – helping companies to develop new life-improving therapies more efficiently and safely. Successful clinical trials require the ability to see key details and uncover hidden insights, and Bioclinica’s hundreds of experienced scientific, medical, and domain experts bring unmatched insight across the development lifecycle, from the initial protocol to post-approval. The company’s cloud-based offerings include medical imaging and cardiac safety services; clinical adjudication; randomization and trial supply management and optimization; electronic and eSource data capture; site and patient payments and budget forecasting; pharmacovigilance; trial management; and risk-based monitoring solutions. A true multifaceted partner to trial sponsors and Contract Research Organizations (CROs), Bioclinica offers a global network of research sites and patient recruitment services to provide committed, detail-focused service through all stages of drug development. The company’s thousands of employees serve more than 400 pharmaceutical, biotechnology and device organizations – including all the top 20 biopharmaceutical companies and leading CROs – through a network of offices in the U.S., Europe, and Asia. Visit Orlando is the official tourism association for Orlando, the most visited destination in the United States. Visit Orlando’s primary focus is to ensure the health of our region’s tourism industry. Through marketing and advertising efforts, Visit Orlando engages with consumers to choose Orlando for their next vacation or meeting. Visit Orlando is a not-for-profit trade association that represents 1,200 member companies making up Central Florida’s tourism community. In addition to serving their members, they are also contracted by Orange County to brand, market and sell the Orlando destination globally. 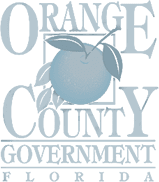 Located in Central Florida, Orange County is the region’s most populous county and includes the City of Orlando, as well as twelve other incorporated cities. World famous attractions, the nation’s second largest convention center and year-round sunshine help make Central Florida a top business and vacation destination. 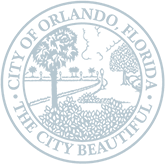 Orlando has evolved from the hub of Florida’s citrus industry in the 19th century to a mecca for tourism in the 20th century. Orlando’s regional leaders have worked diligently in recent years to diversify Orlando’s economy to create a new breed of high-tech, high-wage careers for residents in cutting edge industries such as digital media and technology, life sciences and modeling, simulation and training. Today, Orlando is a global leader in the 21st century innovation economy. HCA Healthcare is driven by a single goal: the care and improvement of human life. As one of the nation’s leading providers of healthcare services, HCA Healthcare is comprised of locally managed facilities that includes 178 hospitals and 119 freestanding surgery centers located in 20 U.S. states and in the United Kingdom. HCA Healthcare stands for the best practices of medicine, and uses its reach, scale and stability to transform healthcare and help communities thrive. Founded 50 years ago, HCA Healthcare has followed a vision of healthcare the way it should be: patient-centered, constantly evolving and constantly improving, practiced with integrity and compassion. In communities across North Florida, your neighbors, friends and colleagues are committed to building a Healthy Community – a community with dedicated neighborhood groups, active little leagues, charities helping those in need, first class institutions that contribute to the overall well-being of the community, and businesses committed to making the communities they serve a better place. 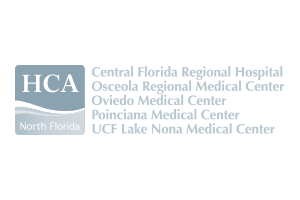 We are the 14 hospitals in North Florida and Central Florida affiliated with HCA Healthcare and their more than 14,000 employees, committed to a Healthy Community.